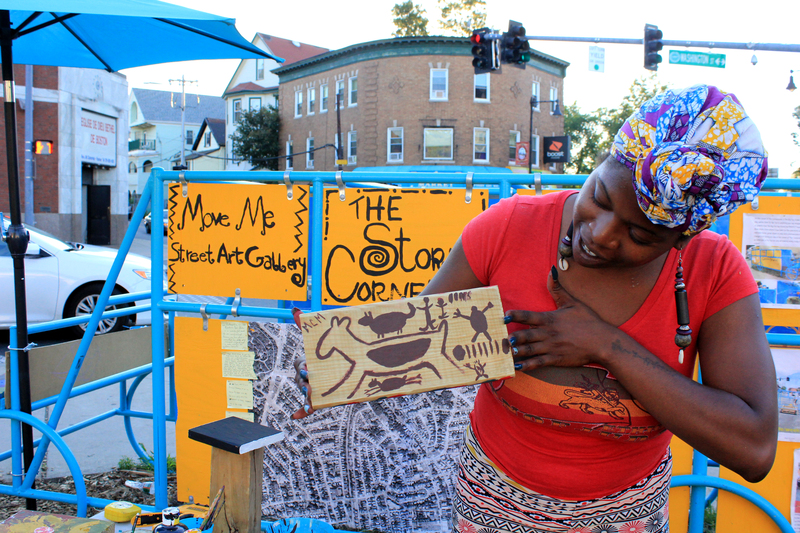 On Wednesday, October 7th, we installed MoveMe: A Street Art Gallery, located across from Seats of Power + Codex IV Corners, near the Four Corners / Geneva Station of the Fairmount-Indigo Line. The visual expression of MoveMe has evolved from last winter when we painted reclaimed tiles as “Greeting Tiles” for the neighborhood during the holiday season. 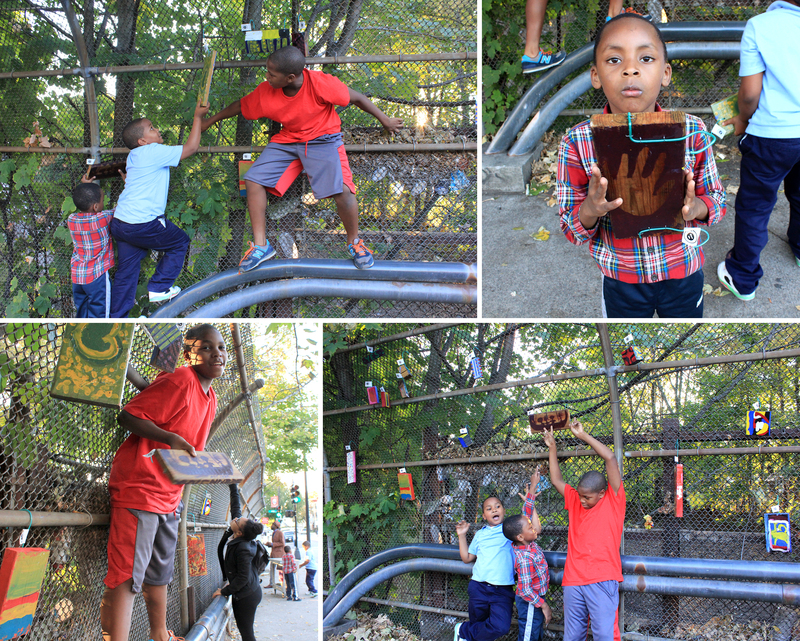 This time, we used reclaimed wood left over from constructing Seats of Power, but the concept remains largely the same: community members create art objects that they place on the ubiquitous chain link fences of Washington Street, converting these from simple barriers into infrastructures for art. 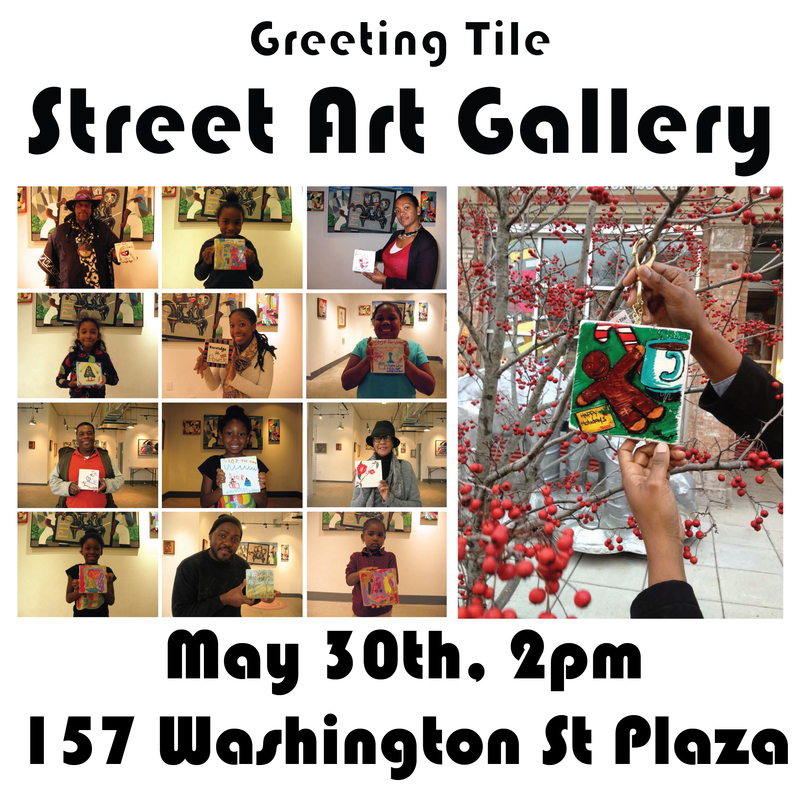 These hand-made art objects can then be curated by the community by being moved, or removed. People have taken time and effort to create these art objects to be displayed in Street Art Gallery, without compensation or a guarantee that they won’t be moved beyond retrieval. 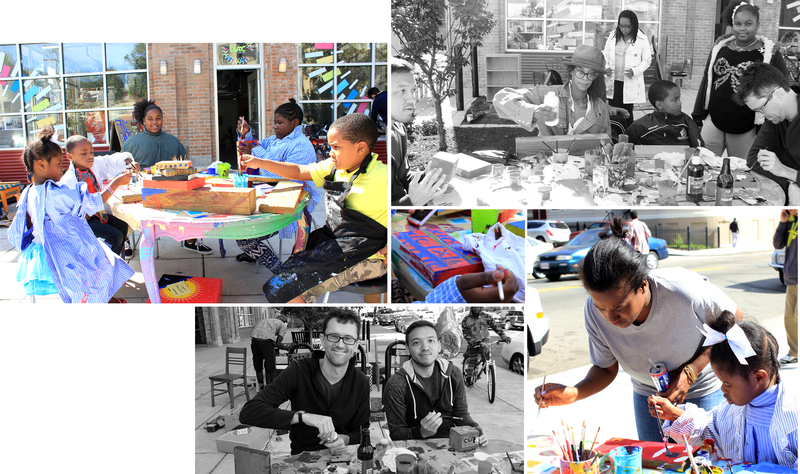 The art-blocks for MoveMe were painted from mid-July until late September at the Friday evening Public Art Salons held at The Cornerstone. For my contribution to the Artist in Transit’s TStop meal in October 2015, we created Recipe Blocks. 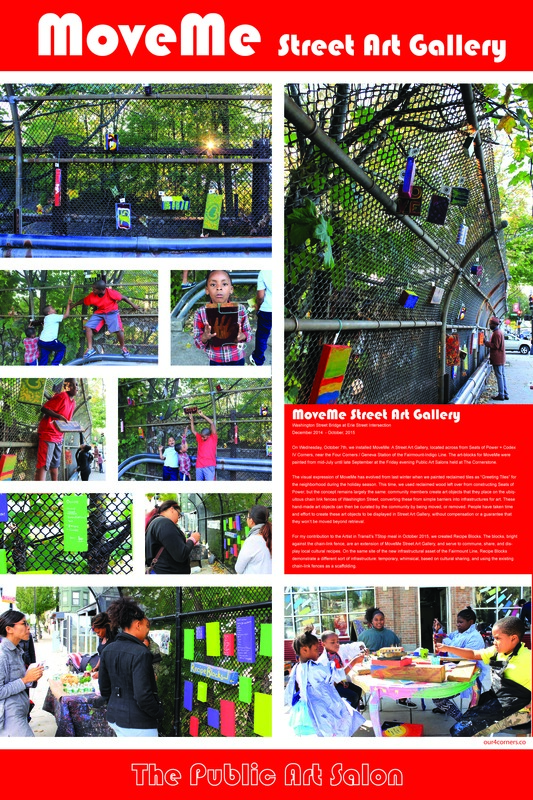 The blocks, bright against the chain-link fence, are an extension of MoveMe Street Art Gallery, and serve to commune, share, and display local cultural recipes. 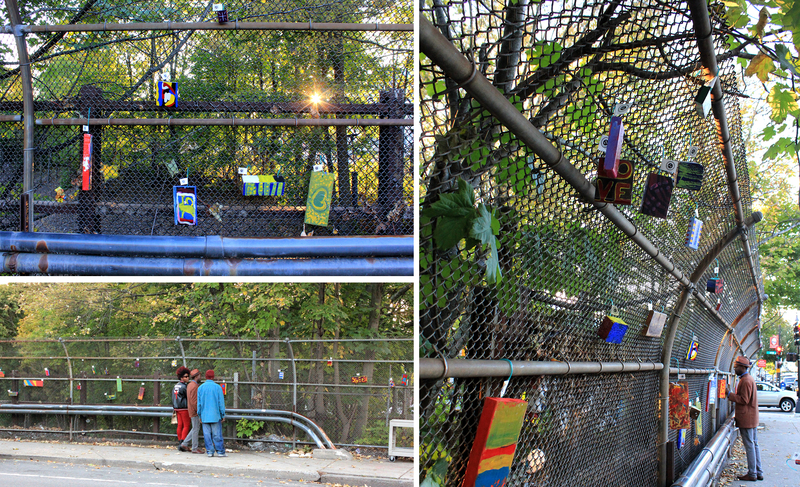 On the same site of the new infrastructural asset of the Fairmount Line, Recipe Blocks demonstrate a different sort of infrastructure: temporary, whimsical, based on cultural sharing, and using the existing chain-link fences as a scaffolding.